Aoi narrates how it’s been a week since Oga and Beel disappeared. All their friends are heartbroken over the disappearance, Aoi most of all. But the tender, and funny, moment is ruined when Oga makes it back without any trouble. Oga explains how he just spent some time at the hot springs in the demon world, and then had Allaindellon transfer him back. En and the rest of his men are in a special class in St Ishiyama, having been sent back to finish off the humans. But the Great Demon Lord then decides he’s sick of trying to destroy the humans, so he calls it all off and Beel has to go back home. 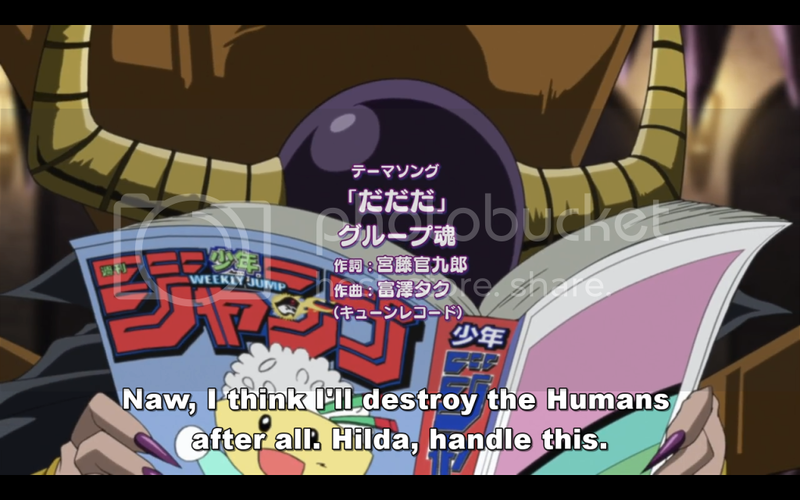 Beel refuses, and Hilda tries her best to convince him to return. Oga on the other hand is happy to be rid of them all. 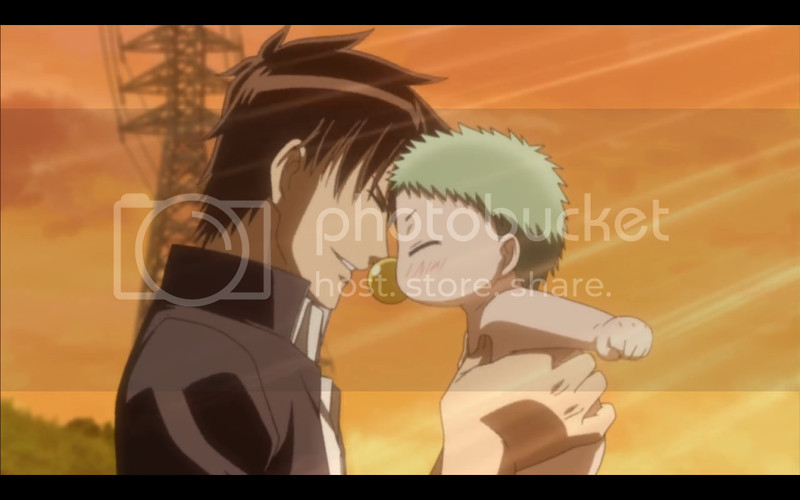 When Beel runs away they have to go looking for him, and Oga finally finds him at the river bank where they first met. 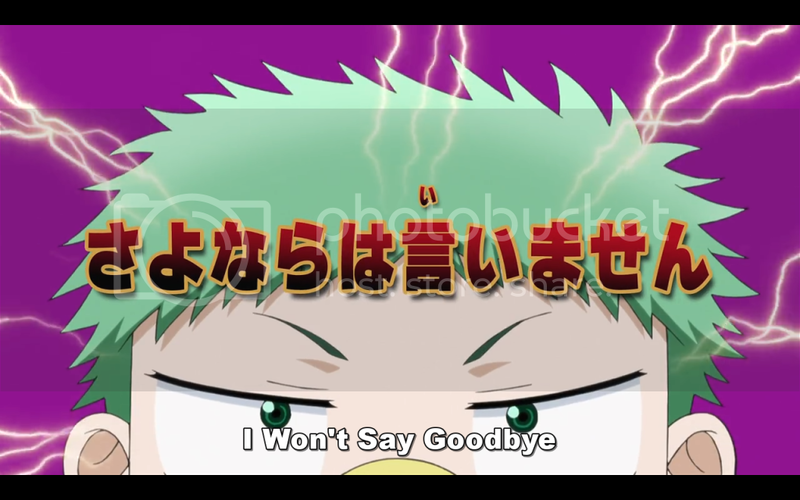 He talks to Beel, and the two share a legitimately touching farewell. Finally Hilda has Yolda help them all transfer back to the demon world. But the return to the status quo does not last long, as the Great Demon Lord once again decides to destroy humanity, and he sends Beel back during the closing credits. I was dead set on hateing this episode. After episode fifty-nine I decided there was literally nothing Beelzebub could possibly do to make me like the ending. What I did not expect was a spastic, high energy episode that featured all the wacky, ridiculous, humor I loved from the show. The final arc may have been cut short, but the ludicrousness of how the final episode plays out makes up for that. I was hooked by the very first scene, that parodied the ending of many another shonen anime. And did it very, very well. 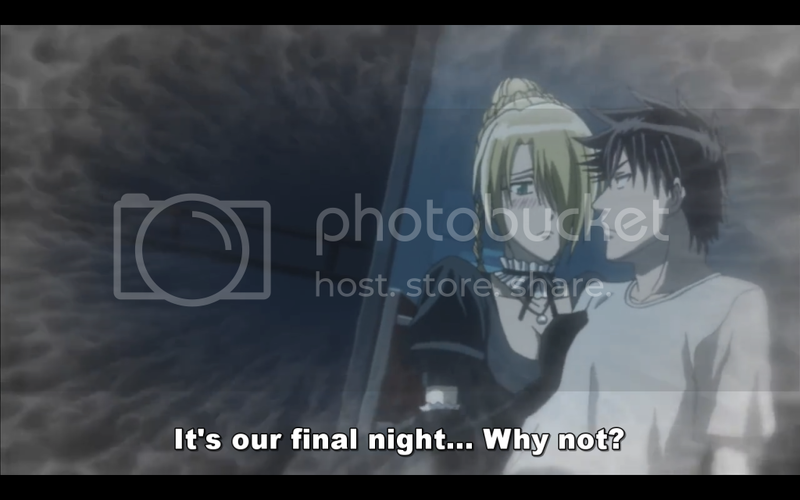 Though shippers will hate how Aoi’s tearful moment was ruined by everyone else crying too… Okay, I admit it, I enjoyed the obvious spoof on how other anime end. The entire scene was just great. I loved Aoi’s line after he shows up. 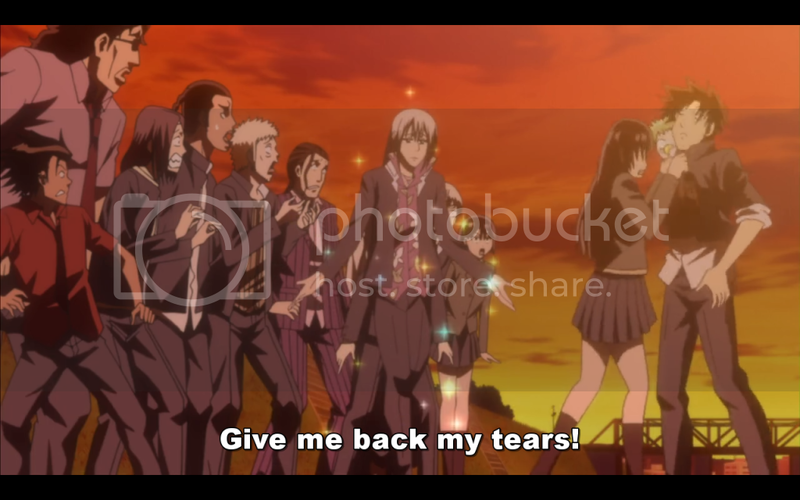 I might just consider this my favorite Beelzebub episode of all times. Sure it was completely non-canon, but it followed a terrible episode, and made me love the series again. It took the overly serious penultimate episode, and brought everything back to where it should be, over the top spastic comedy. 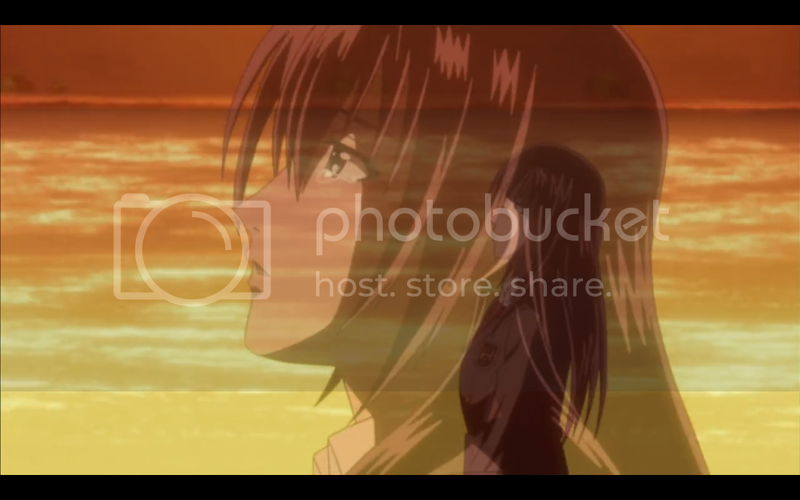 I take back everything I said about this being the worst ending to an anime ever. This was without a doubt the best way to end the series. I would have liked to see it continue, but if it had to end, I’m glad they ended it like this. A satisfying ending to a series that had its ups and downs, but that I will ultimately remember fondly. 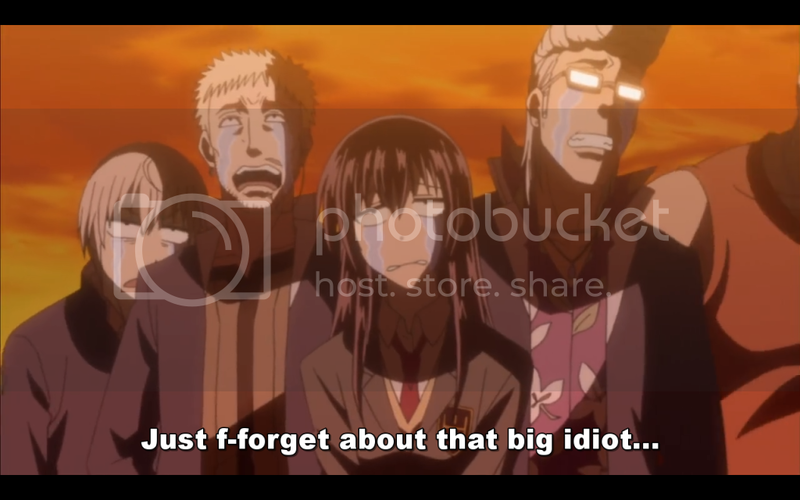 Previous Post:Anime Reviews: Beelzebub Episode 59 – We’re the Strongest! That's it? That's how it ends? Well sixty episodes would not be too much of a loss to anyone and I technically did reach the halfway mark when I stopped. I'm glad to know that the final episode made up for how the second-final episode went. wtf….why the heck in the end of the video the demon king came back? so there is another fun….may goes by….where should i find the chapter of this episode 60…? What caused the cancellation of Beelzebub manga?